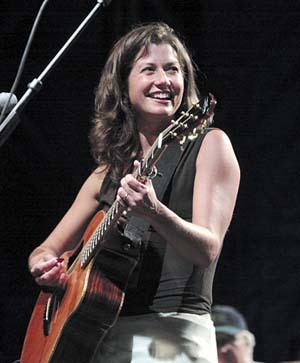 Amy Lee Grant was born on 25 November 1960, in Augusta, Georgia USA to mother Gloria and father Burton Paine Grant. She is a singer, songwriter, author and actress, often referred to as The Queen of Christian Pop. So just how rich is Amy Grant at present? Sources state that Grant has acquired a net worth of over $55 million, as of early 2016. Her wealth has been accumulated during her long and successful career as a singer, as well as through her various television works. Grant grew up in Nashville, Tennessee as a descendent of one of the most prominent families in the city. Her family was religious, and Grant was exposed to church at an early age. She attended the Harpeth Hall School in Nashville, and during her teenage years, she took piano lessons, taught herself to play a guitar and started to create her own Christian music. Working as an intern in a recording studio, she was given a chance to record a demo tape of her music, which when it reached a producer from a Christian musical label Word Records, saw Grant offered a recording contract. In early 1978 and prior to her high-school graduation, her first, self-titled album was released, which was very successful and something new to the world of Christian music. Grant’s net worth started to rise. She enrolled in Furman University and soon after started to perform in concert; the next year saw the release of her second album called “My Father’s Eyes”. Grant transferred to Vanderbilt University in 1980, but went on with her singing career. She released several more albums, and eventually dropped out of college in order to devote herself to her rising music career. Her breakthrough album “Age to Age” was released in 1982, being certified gold and later platinum. It won the Grammy Award for Best Gospel Performance, and its hit song “El Shaddai” was awarded one of the “Songs of the Century” by RIAA. This considerably added to Grant’s wealth. Her next album “Straight Ahead” earned the singer a place in the Grammy Awards show the following year. The 1985 album “Unguarded” was again something new and different, as it contained sounds that were more mainstream pop. Although the album was successful, especially the song “Find a Way”, those in the Christian music community were not satisfied to see this new success as the singer started to mix the genres. The same was with her 1991 album “Heart in Motion”, which found great mainstream success, selling five million copies. It’s song “Baby Baby”, written for Grant’s newborn daughter, became a worldwide hit, significantly intensifying the singer’s net worth. However, many believed that Grant was leaving her gospel roots to embrace the pop fame. Her next two albums “Home for Christmas” and “House of Love” were composed of love songs and those reflecting Grant’s spirituality and love for God, to satisfy both sides of her fans. Her 1997 release “Behind the Eyes” was a little darker album containing soft rock and reflecting a painful period of Grant’s life – her divorce, but it was her highest charting album. Grant went back to her gospel roots with her next few albums, and being inducted into the Gospel Music Hall of Fame in 2003. She also received a star on the Hollywood Walk of Fame in 2006. Grant released several successful albums in the 2000s, including a greatest hits album with the old songs remastered as well as the re-release of her 1988 album “Lead Me On”. Her latest album is “Be Still and Know… Hymns and Faith” released in 2015. Aside from her successful music career, Grant has written several books. The latest one is entitled “Mosaic: Pieces of My Life So Far” published in 2007. In addition to her television work, including various television appearances, Grant appeared in the 1999 television movie “A Song from the Heart”, playing a blind music teacher. During her long career, Grant has won six Grammy Awards and over 20 Dove Awards. Her successful career has brought her a significant fortune. Speaking of Grant’s personal life, she married her fellow Christian musician Gary Chapman in 1982, and they have three daughters but divorced in 1999. Grant married country singer Vince Gill in 2000, with whom she has a daughter. Grant’s divorce and re-marriage found controversy in the Christian community and some Christian radio stations even stopped playing her music. Place Of Birth Augusta, Georgia, U.S.